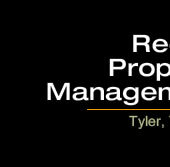 Reed Property Management started in 2007 with acquisition and rehabilitation of Tyler's Midtown District homes and in 2012 began a campaign of buying infill residential lots within the same part of Tyler. We teamed up with Socia Developments and began learning the residential construction management business with our first build being a build-to-rent duplex on S. Baxter. This spurred a desire to build more and spread into the spec home market in 2013. We built our first spec home in Kingswood Subdivision in 2013 as well and am now continuing to build, acquire, develop, renovate, sell, homes in Tyler. Please check out our diverse portfolio of builds and concepts.